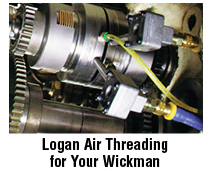 Logan Clutch Corporation is an OEM manufacturer of hydraulic and air actuated clutches. 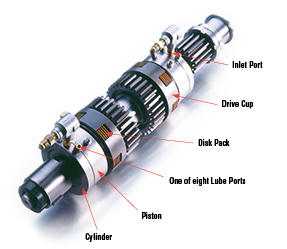 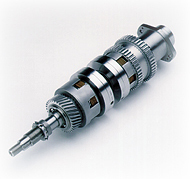 They are used in Acme-Gridley, New Britain, Wickman, Davenport, Warner & Swasey, Euroturn, and Gildemeister Screw machines. 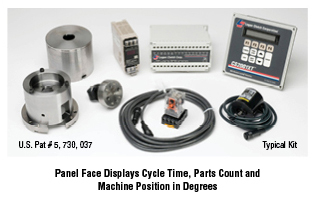 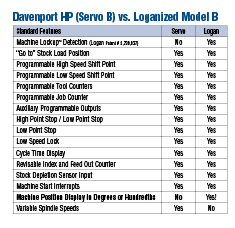 In addition, Logan manufactures screw machine controls, (microprocessor controls) and real-time data collection software to use in conjunction its control system. 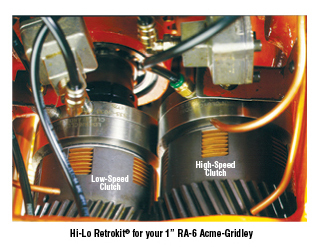 Eliminates mechanical linkages lever arms, adjusting collars, dog levers, spring pins, yokes, clutch sleeves, etc. 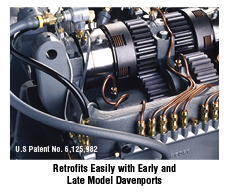 Bullard, National Acme, Davenport, Conomatic, New Britain, SNM, Wickman, Giddings & Lewis, Lucas, Brown & Sharpe, Warner & Swasey, Euroturn, Mori-Say, ZPS, Tornos, Cincinnati Machine, Motch, Fellows. 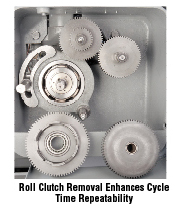 Logan Clutch is the market leader in replacement clutches for all brands of screw machines. 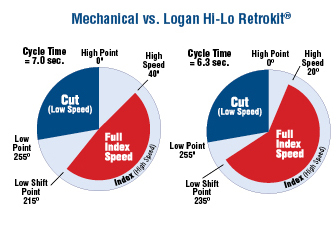 Additionally, many machine tool rebuilders rely upon Logan engineering expertise when remanufacturing high-value machine tools. 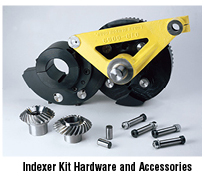 Please select the product below for specific details. 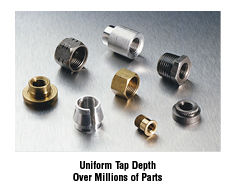 In our Literature Download section, you'll find complete product catalogs to download, view and print. 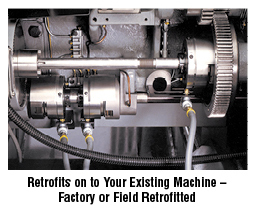 Also available are installation and maintenance information. 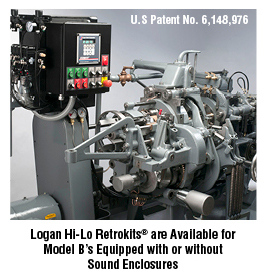 Call to inquire about our Factory and Field Service for Logan Products. 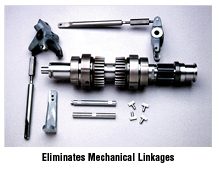 Eliminates Mechanical Linkages – Lever Arms, Adjusting Collars, Dog Levers, Spring Pins, Yokes, Clutch Sleeves, etc. 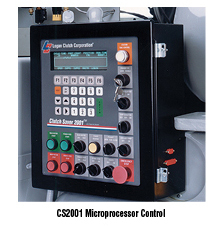 The CS2001XT is specifically designed to bring new machine technology to your existing fleet of screw machines. 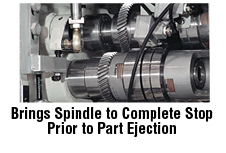 With features such as Tool Counters, Thread Check, Machine LockUp Detection, Stock Load and more, the XT offers screw machine users more flexibility during set-ups, and increases overall machine productivity. 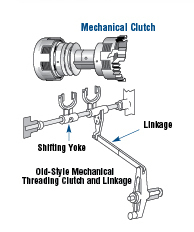 Air Threading Clutches are Self Adjusting - No Slippage! 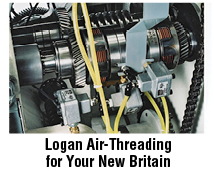 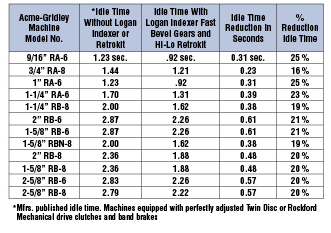 Since Logan Air Threading Clutches are self-adjusting, they eliminate the need for your operator to mechanically adjust the threading clutch, providing your machine operator or maintenance person additional time to troubleshoot more complicated manufacturing challenges. 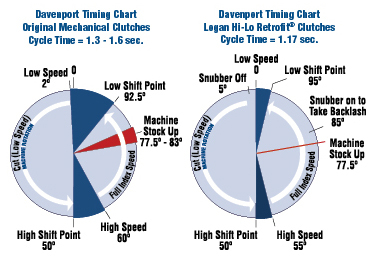 This new Air-Threading clutch package has been designed to enable users of early and late model Davenports to easily retrofit their existing machines that currently use mechanical threading with this new Logan Air-Threading Clutch arrangement. 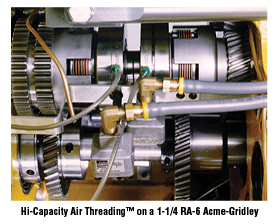 Air-Threading is Available on New Davenport Machines Too! 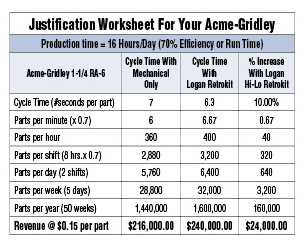 Increase productivity from 10-20%, or more! 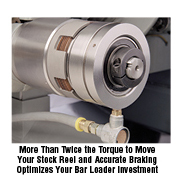 Our power applied brake feature stops your Model B in the correct position to load bars – “jogging” the machine into bar load position during stock up is eliminated – reducing manual load time as much as 50%! 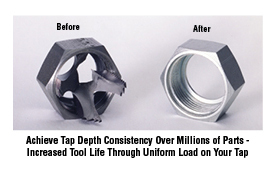 Ideal for Bar Loaders Too!